What could be cuter than a woolly pompom creature? With Sachiyo Ishii’s ridiculously loveable pocket-size creations, you have all the ingredients of a fabulous, fun book! There are 35 imaginative designs for animals, birds, sea creatures, bees and other insects accompanied by clear, step-by step instructions. With sections on materials, tools and basic techniques, you have all you need to get you started. Learn how to make the pompoms, attach them to each other and needle felt on features such as faces, ears, arms and legs adding the features is where their characters really come to life! All the pompoms can be made from scraps of yarn in your stash and each design uses only small amounts. You can be up-to-the-minute with plastic pompom makers or keep it traditional with the cardboard ring technique. Sachiyo’s delightful designs include a ladybird, a fox, a hummingbird, a hamster, a dolphin and a hedgehog. 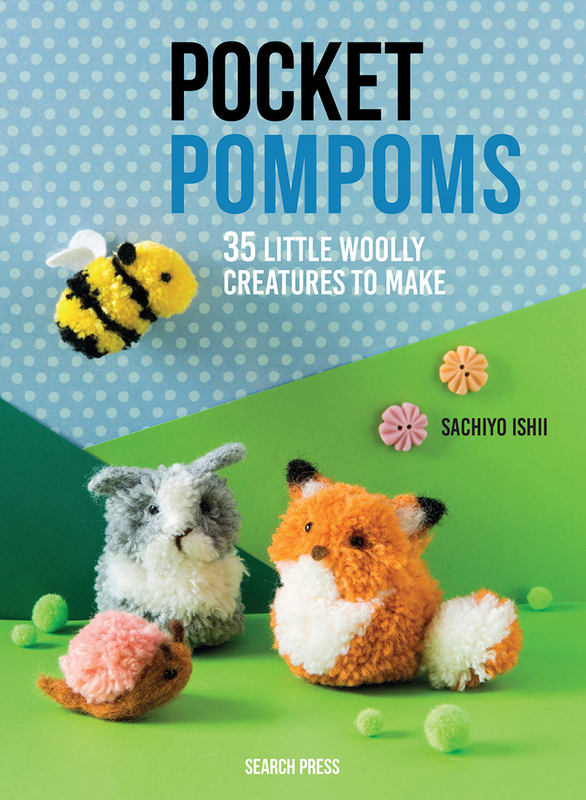 With beautiful photographs to show off these charming pompom creations, this is sure to delight young and old alike.